J. S. Boyer is no longer advising graduate students or postdoctoral fellows. 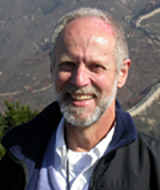 He remains an active participant in collaborative research projects with other faculty members of the Interdisciplinary Plant Group (https://ipg.missouri.edu/faculty/). J. S. Boyer investigated how water affects plants with specific emphasis on water deficits. Early efforts established thermodynamic methods of measuring water status (water potential and its components) using tissue vapor pressures or pressure chambers. With these tools, he and his co-workers were able to repeat experiments readily while water status changed. Because water contents also changed after water was withheld, the activity of specific enzymes responded because their co-factors, substrates, or inducers of gene expression changed concentration and could be reversed by physiological means. During this work, he and his co-workers discovered that growth itself caused a slightly lower water potential, that is, a growth-induced water potential. This allowed the growing cells to extract water from surrounding tissues to support the growth process. We also discovered that water deficits caused plant tissues to adjust osmotically in a way that helped maintain water uptake from the soil. These two discoveries pointed toward the need to investigate the fundamental nature of the growth process with the finding that pectin, a normal constituent of plant cell walls, underwent a specialized chemistry on its way to the wall. The chemistry controlled not only the growth rate of the cells but also the deposition of new wall, which is essential for maintaining wall integrity as the cell enlarges. The whole process was driven by the rate of release of pectin to the wall and the generation of enough turgor pressure above a threshold level. While this process clearly occurred in an alga that is the closest living relative of land plants, elements of the process also occur in land plants (Boyer. 2016). Hopefully this investigation will continue in other labs. At about the same time as the growth experiments, measurements confirmed that water deficits were more inhibitory to photosynthesis than to respiration, that is, plants lost the ability to feed themselves while remaining alive. It occurred to us that feeding photosynthetic products to the plant might reverse this result and we developed a way to do that. Copious grain developed when otherwise none occurred during a drought. While this intravenous feeding was not directly practical for agriculture, it allowed the myriad effects of water deficits to be narrowed to just a few biochemical steps. These in turn allowed us to determine the genes involved and how they responded to feeding. While it was possible to prevent abortion of young embryos with this feeding technique, genetic means of preventing abortion became increasingly possible and are now being exploited by seed companies (Boyer, 2017). Boyer, J. S. 2016. Enzyme-less growth in Chara and terrestrial plants. Front. Plant Sci. doi:10.3389/fpls.2016.00866. Boyer, J. S. 2017. Plant water relations: a whirlwind of change. Prog. Bot. 79:1-31. DOI https://doi.org/10.1007/124_2017_3. Boyer, J.S. 2017. Plant water relations: a whirlwind of change. Prog. Bot. 79:1-31. DOI https://doi.org/10.1007/124_2017_3. Boyer, J.S. 2016. Enzyme-less growth in Chara and terrestrial plants. Front. Plant Sci. doi:10.3389/fpls.2016.00866. Boyer, J.S. 2015. Impact of cuticle on calculations of the CO2 concentration inside leaves. Planta 242:1405-1412. Boyer, J.S. 2015. Turgor and the transport of CO2 and water across the cuticle (epidermis) of leaves. Journal of Experimental Botany 66:2625-2633. Boyer, J.S., Byrne, P., Cassman, K.G., Cooper, M., Delmer, D., Greene, T., Gruis, F., Habben, J., Hausmann, N., Kenny, N., Lafitte, R., Paszkiewicz, S., Porter, D., Schlegel, A., Schussler, J., Setter T., Shanahan, J., Sharp, R.E., Vyn, T.J., Warner, D., Gaffney, J. 2013. The U.S. drought of 2012 in perspective: a call to action. Global Food Security 2: 139–143. Tang, A.-C. and Boyer, J.S. 2013. Differences in membrane selectivity drive phloem transport to the apoplast from which maize florets develop. Ann. Bot. 111: 551-562. Proseus, T.E., Boyer, J.S. 2012 Pectate chemistry links cell expansion to wall deposition in Chara corallina. Plant Signaling and Behavior 7: 1490-1492. Proseus, T.E. and Boyer, J.S. 2012. Calcium deprivation disrupts enlargement of Chara corallina cells. Further evidence for the calcium pectate cycle. Journal of Experimental Botany 63: 3953–3958. Boyer, J.S. and Kawamitsu, Y. 2011. Photosynthesis gas exchange system with internal CO2 directly measured. Environment Control in Biology 49: 193-207. Boyer, J.S., Silk, W.K., Watt, M. 2010. Path of water for root growth. Func. Plant Biol. 37:1105-1116. Ruan, Y.-L., Jin, Y., Yang, Y.-J., Li, G.-J., and Boyer, J.S. 2010. Sugar input, metabolism, and signaling mediated by invertase: roles in development, yield potential, and response to drought and heat. Mol. Plant 3:942-955. Hiyane, R., Hiyane, S., Tang, A.-C., and Boyer, J.S. 2010. Sucrose feeding reverses shade-induced kernel losses in maize. Ann. Bot. 106:395-403. Boyer, J.S. 2010. Drought decision-making. J. Exp. Bot. 61:3493-3497. Boyer, J.S. 2009. Cell wall biosynthesis and the molecular mechanism of plant enlargement. Func. Plant Biol. 36: 383-394. Salekdeh, G.H., Reynolds, M., Bennett, J., and Boyer, J.S. 2009. Conceptual framework for drought phenotyping during molecular breeding. Trends Plant Sci. 14: 488-496. Boyer, J.S., James, R.A., Munns, R., Condon, A.G., and Passioura J.B. 2008. Osmotic adjustment leads to anomalously low estimates of relative water content in wheat and barley. Func. Plant Biol. 35:1172–1182. Proseus, T.E. and Boyer, J.S. 2008. Calcium pectate chemistry causes growth to be stored in Chara corallina: a test of the pectate cycle. Plant Cell Env. 31:1147-1155. Tang, A.-C. and Boyer, J.S. 2008. Xylem tension affects growth-induced water potential and daily elongation of maize leaves. J. Exp. Bot. 59:753–764. Proseus, T.E. and Boyer, J.S. 2007. Tension required for calcium pectate chemistry to control growth in Chara corallina. J. Exp. Bot. 58:4283-4292. Tang, A.-C. and Boyer, J.S. 2007. Leaf shrinkage decreases porosity at low water potentials in sunflower. Func. Plant Biol. 34:24–30. Boyer, J.S. and McLaughlin, J.E. 2007. Functional reversion to identify controlling genes in multigenic responses: analysis of floral abortion. J. Exp. Bot. 58:267–277. Proseus, T.E. and Boyer, J.S. 2006. Calcium pectate chemistry controls growth rate of Chara corallina. J. Exp. Bot. 57:3989-4002. Proseus, T.E. and Boyer, J.S. 2006. Identifying cytoplasmic input to the cell wall of growing Chara corallina. J. Exp. Bot. 57:3231-3242. Proseus, T. E. and Boyer, J.S. 2006. Periplasm turgor pressure controls wall deposition and assembly in growing Chara corallina cells. Ann. Bot 98:93-105. Mäkelä, P., McLaughlin, J.E., and Boyer, J.S. 2005. Imaging and quantifying carbohydrate transport to the developing ovaries of maize. Ann. Bot. 96:939-949. Proseus, T.E. and Boyer, J.S. 2005. Turgor pressure moves polysaccharides into growing cell walls of Chara corallina. Ann. Bot. 95:967-979. Wu, Y., Jeong, B.-J., Fry, S.C., and Boyer, J.S. 2005. Change in XET activities, cell wall extensibility and hypocotyl elongation of soybean seedlings at low water potential. Planta 220:593-601. McLaughlin, J.E. and Boyer, J.S. 2004. Sugar-responsive gene expression, invertase activity, and senescence in aborting maize ovaries at low water potentials. Ann. Bot. 94: 675-689. McLaughlin, J.E. and Boyer, J.S. 2004. Glucose localization in maize ovaries when kernel number decreases at low water potential and sucrose is fed to the stems. Ann. Bot. 94: 75-86. Tang, A.-C. and Boyer, J.S. 2003. Root pressurization affects growth-induced water potentials and growth in dehydrated maize leaves. J. Exp. Bot. 54: 2479-2488. Passioura, J.B. and Boyer, J.S. 2003. Tissue stresses and resistance to water flow conspire to uncouple the water potential of the epidermis from that of the xylem of elongating plant stems. Funct. Plant Biol. 30: 325-334. Tang, A.-C. and Boyer, J.S. 2002. Growth-induced water potentials and the growth of maize leaves. J. Exp. Bot. 53: 489-503. Tang, A.-C., Kawamitsu, Y., Kanechi, M. and Boyer, J.S. 2002. Photosynthetic oxygen evolution at low water potential in leaf disks lacking an epidermis. Ann. Bot. 89:861-870. Boyer, J.S. 2001. Growth–Induced water potentials originate from wall yielding during growth. J. Exp. Bot. 52:1483-1488. Proseus, T.E., Zhu, G-L., and Boyer, J.S. 2000 Turgor, temperature, and the growth of plant cells: using Chara corallina as a model system. J. Exp. Bot. 51:1481-1494. Zinselmeier, C., Habben, J.E., Westgate, M.E., and Boyer, J.S. 2000. Carbohydrate metabolism in setting and aborting maize ovaries. In: Physiology and Modeling Kernel Set in Maize. Ed. by Westgate, M. E., Boote, K., Knievel, D., Kiniry, J., Volenec, J., Kral, D. CSSA Special Publication No. 29, CSSA, 677 South Segoe Road, Madison, WI 53711. Pp. 1-13. Zinselmeier, C. Jeong, B.-R. and Boyer, J.S. 1999. Starch and the control of kernel development in maize at low water potentials. Plant Physiol. 121:25-35. McCully, M.E. and Boyer, J.S. 1997. The expansion of maize root-cap mucilage during hydration. 3. Changes in water potential and water content. Physiol. Plant. 99:169-177. Boyer, J.S. and Naylor, A.W. 1997. Paul Jackson Kramer: a biographical memoir. Nat. Acad. Sci. Biographical Memoirs 72:3-18. Boyer, J.S., Wong, S.C., and Farquhar, G.D. 1997. CO2 and water vapor exchange across leaf cuticle (epidermis) at various water potentials. Plant Physiol. 114:185-191. Nonami, H. Wu, Y., and Boyer, J.S. 1997. Decreased growth-induced water potential: a primary cause of growth inhibition at low water potentials. Plant Physiol. 114:501-509. Boyer, J.S. 1996. Advances in drought tolerance in plants. Adv. Agron. 56:187-219. Zinselmeier, C., Lauer, M.J. and Boyer, J.S. 1995. Reversing drought-induced losses in grain yield: sucrose maintains embryo growth in maize. Crop Sci. 35:1390-1400. Boyer, J.S. 1995. Biochemical and biophysical aspects of water deficits and the predisposition to disease. Annu. Rev. Phytopath. 33:251-274. Kramer, P.J. and Boyer, J.S. 1995. Water Relations of Plants and Soils. Academic Press: San Diego. 495 pp. Boyer, J.S. 1995. Measuring the Water Status of Plants and Soils. Academic Press: San Diego. 178 pp. Maruyama, S. and Boyer, J.S. 1994. Auxin action on growth in intact plants: threshold turgor is regulated. Planta 193:44-50. Boyer, J.S. and Nonami, H. 1993. Physiological regulation of water transport in controlled environments. In The Computerized Greenhouse, Y. Hashimoto, G.P.A. Bot, W. Day, H.-J. Tantau, H. Nonami (eds.). Academic Press. Pp. 267-301. Boyer, J.S. 1993. Temperature and growth-induced water potential. Plant, Cell & Environ. 16:1099-1106. Nonami, H. and Boyer, J.S. 1993. Direct demonstration of a growth-induced water potential gradient. Plant Physiol. 102:13-19. Boyer, J.S. 1993. Walls, water and solute in plant growth. Curr. Topics Plant Biochem. Physiol. 11:1-17. Zhu, G.L. and Boyer, J.S. 1992. Enlargement in Chara studied with a turgor clamp: growth rate is not determined by turgor. Plant Physiol. 100:2071-2080. Lauer, M.J. and Boyer, J.S. 1992. Internal CO2 measured directly in leaves: abscisic acid and low leaf water potential cause opposing effects. Plant Physiol. 98:1310-1316. Boyer, J.S. 1992. Mechanisms for obtaining water use efficiency and drought resistance. In Plant Breeding in the 1990s, Proceedings of the North Carolina State Symposium on Plant Breeding, H.T. Stalker and J.P. Murphy (Eds. ), pp. 181-200. Boyer, J.S. 1991. Plant growth in water-limited environments. Plant Science Tomorrow Perspective 4:2-3. Omasa, K., Maruyama, S., Matthews, M.A. and Boyer, J.S. 1991. Image diagnosis of photosynthesis in water-deficit plants. In Mathematical and Control Applications in Agriculture and Horticulture, Proceedings of the IFAC/ISHS, Workshop, Y. Hashimoto and W. Day, (Eds.). Pergamon Press. Pp. 383-388. Nonami, H., Hashimoto, Y. and Boyer, J.S. 1991. Environmental control for plant growth in plant factory operation and greenhouse management from physiological viewpoint. In Mathematical and Control Applications in Agriculture and Horticulture, Proceedings of the IFAC/ISHS, Workshop, Y. Hashimoto and W. Day, (Eds.). Pergamon Press. Pp. 125-130. Boyer, J.S. and Nonami, H. 1991. Water and the physiological regulation of growth in controlled environments. In Mathematical and Control Applications in Agriculture and Horticulture, Proceedings of the IFAC/ISHS Workshop, Y. Hashimoto and W. Day (Eds.). Pergamon Press. Pp. 115-120. Ortiz-Lopez, A., Ort, D.R. and Boyer, J.S. 1991. Photophosphorylation in attached leaves of Helianthus annuus at low water potentials. Plant Physiol. 96:1018-1025. Matyssek, R., Tang, A.-C. and Boyer, J.S. 1991. Plants can grow on internal water. Plant, Cell and Environment 14:925-930. Matyssek, R., Maruyama, S. and Boyer, J.S. 1991. Growth-induced water potentials may mobilize internal water for growth. Plant, Cell and Environment 14:917-923. Boyle, M.G., Boyer, J.S. and Morgan, P.W. 1991. Stem infusion of liquid culture medium prevents reproductive failure of maize at low water potential. Crop Sci. 31:1246-1252. Boyle, M.G., Boyer, J.S. and Morgan, P.W. 1991. Stem infusion of maize plants. Crop Sci. 31:1241-1245. Surowy, T.K. and Boyer, J.S. 1991. Low water potentials affect expression of genes encoding vegetative storage proteins and plasma membrane proton ATPase in soybean. Plant Molec. Biol. 16:251-262. Boyer, J.S. and Nonami, H. 1990. Water potential and its components in growing tissues. Measurement Techniques in Plant Science, Eds., Y. Hashimoto, P.J. Kramer, H. Nonami, B.R. Strain, Academic Press, New York. Pp. 101-112. Nonami, H. and Boyer, J.S. 1990b. Wall extensibility and cell hydraulic conductivity decrease in enlarging stem tissues at low water potentials. Plant Physiol. 93:1610-1619. Nonami, H. and Boyer, J.S. 1990a. Primary events regulating stem growth at low water potentials. Plant Physiol. 93:1601-1609. Boyer, J.S. and Nonami, H. 1990. Xylem hydraulics, turgor and wall properties during growth. Proceedings of the British Plant Growth Regulator Group, Monograph 21, pp. 45-51. Graan, T. and Boyer, J.S. 1990. Very high CO2 partially restores photosynthesis in sunflower at low water potentials. Planta, 181:378-384. Boyer, J.S. 1990. Photosynthesis in dehydrating plants. Bot. Mag. Tokyo Special Issue 2:73-85. Creelman, R.A., Mason, H.S., Bensen, R.J., Boyer, J.S. and Mullet, J.E. 1990. Water deficit and abscisic acid cause differential inhibition of shoot versus root growth in soybean seedlings. Plant Physiol. 92:205-214. Nonami, H. and Boyer, J.S. 1989. Water potential gradients associated with expanding cells. In Plant Water Relations and Growth under Stress, Proceedings of the XXII Yamada Conference, M. Tazawa, M. Katsumi, Y. Masuda, H. Okamoto (eds. ), K.K. Myu, Tokyo, Japan. pp. 428-430. Boyer, J.S. 1989. Growth at low water potentials. In Plant Water Relations and Growth under Stress, Proceedings of the XXII Yamada Conference, Eds., M. Tazawa, M. Katsumi, Y. Masuda, H. Okamoto. K.K. Myu, Tokyo, Japan. pp. 357-364. Boyer, J.S. 1989. Water potential and plant metabolism: comments on Dr. P.J. Kramer's article "Changing concepts regarding plant water relations", Volume 11, Number 7, pp. 565-568, and Dr. J.B. Passioura's response, pp. 569-571. Plant, Cell & Environ. 12:213-216. Nonami, H. and Boyer, J.S. 1989. Turgor and growth at low water potentials. Plant Physiol. 89:798-804. Mason, H.S., Guerrero, F.D., Boyer, J.S. and Mullet, J.E. 1988. Proteins homologous to leaf glycoproteins are abundant in stems of dark-grown soybean seedlings. Analysis of proteins and cDNAs. Plant Molec. Biol. 11:845-856. Bensen, R.J., Boyer, J.S., and Mullet, J.E. 1988. Water deficit induced changes in abscisic acid content, growth rates, polysomes and translatable RNA in the elongating region of etiolated soybean hypocotyls. Plant Physiol. 88:289-294. Mason, H.S., Mullet, J.E. and Boyer, J.S. 1988. Polysomes, messenger RNA and growth in soybean stems during development and water deficit. Plant Physiol. 86:725-733. Matyssek, R., Maruyama, S., and Boyer, J.S. 1988. Rapid wall relaxation in elongating tissues. Plant. Physiol. 86:1163-1167. Boyer, J.S. 1988. Cell enlargement and growth-induced water potentials. Physiol. Plantarum 73:311-316. Boyer, J.S. 1987. Hydraulics, wall extensibility, and wall proteins. In Physiology of Cell Expansion during Plant Growth. Proc. Second Annual Penn State Symposium in Plant Physiology, D. J. Cosgrove and D. P. Knievel, eds. American Society of Plant Physiologists, Rockville, MD. pp: 109-121. Bozarth, C.S., Mullet, J.E., and Boyer, J.S. 1987. Cell wall proteins at low water potentials. Plant Physiol. 85:261-267. Rao, I.M., Sharp, R.E., and Boyer, J.S. 1987. Leaf magnesium alters photosynthetic response to low water potentials in sunflower. Plant Physiol. 84:1214-1219. Osmond, C.B., Austin, M.P., Berry, J.A., Billings, W.D., Boyer, J.S., Dacey, J.W.H., Nobel, P.S., Smith, S.D. and Winner, W.E. 1987. Stress physiology and the distribution of plants: The survival of plants in any ecosystem depends on their physiological reactions to various stresses of the environment. BioScience 37:38-48. Nonami, H. and Boyer, J.S. 1987. Origin of growth-induced water potential: Solute concentration is low in apoplast of enlarging tissues. Plant Physiol. 83:596-601. Boyer, J.S. 1987. Water and plant productivity. In Water and Water Policy in World Food Supplies, Proc. of Conf., May 1985, W.R. Jordan (ed. ), Chapter 36. Texas A&M Press, Texas A&M University, College Station, TX. pp. 233-239. Boyer, J.S., Ort, D.R. and Ortiz-Lopez, A. 1987. Photophosphorylation at low water potentials. Curr. Topics Plant Biochem. Physiol. 6:69-73. Nonami, H., Boyer, J.S. and Steudle, E.S. 1987. Pressure probe and isopiestic psychrometer measure similar turgor. Plant Physiol. 83:592-595. Boyer, J.S., Armond, P.A. and Sharp, R.E. 1987. Light stress and leaf water relations. In Photoinhibition, Ed. by D.J. Kyle, C.B. Osmond, and C.J. Arntzen. Elsevier, Amsterdam. pp.111-122. Sharp, R.E. and Boyer, J.S. 1987. Photosynthesis at low water potentials in sunflower: Lack of photoinhibitory effects. Plant Physiol. 82:90-95. Ortiz-Lopez, A., Ort, D.R. and Boyer, J.S. 1986. In situ measurements of the inhibitory effects of low leaf water potentials on photophosphorylation. Proc. VIIth International Congr. Photosynthesis. Martinus Nijhoff, Publishers, The Netherlands Vol. IV. 3.153-156. Boyer, J.S. and Rao, I.M. 1986. Magnesium and the acclimation of photosynthesis to low leaf water potentials. Proceedings of the VIIth International Congress on Photosynthesis. Martinus Nijhoff, Publishers, The Netherlands, Vol. IV. 3.147-151. Westgate, M.E. and Boyer, J.S. 1986. Water status of the developing grain of maize. Agron. J. 78:714-719. Westgate, M.E. and Boyer, J.S. 1986. Reproduction at low silk and pollen water potentials in maize. Crop Sci. 26:951-956. Westgate, M.E. and Boyer, J.S. 1986. Silk and pollen water potentials in maize. Crop Sci. 26:947-951. Grantz, D.A., Graan, T. and Boyer, J.S. 1985. Chloroplast function in guard cells of Vicia faba L.: Measurement of the electrochromic absorbance change at 518 nm. Plant Physiol. 77:956-962. Grantz, D.A., Ho, T.D., Uknes, S.J., Cheeseman, J.M. and Boyer, J.S. 1985. Metabolism of abscisic acid in guard cells of Vicia faba L. and Commelina communis L. Plant Physiol. 78:51-56. Boyer, J.S. and Mahlstede, J.P. 1985. Crop production and crop protection. In Reference Document: Needs Assessment for the Food and Agricultural Sciences. Joint Council on Food and Agricultural Sciences, United States Department of Agriculture, Washington, D.C. pp. 131-148. Sharp, R.E. and Boyer, J.S. 1985. Loss in chloroplast activity at low leaf water potentials in sunflower: The significance of photoinhibition. In Cellular and Molecular Biology of Plant Stress, UCLA Symposia on Cellular and Molecular Biology, New Series, Vol. 22, J.L. Key and T. Kosuge (eds.). Alan R. Liss Inc., New York. pp. 41-49. Van Volkenburgh, E. and Boyer, J.S. 1985. Inhibitory effects of water deficit on maize leaf elongation. Plant Physiol. 77:190-194. Westgate, M.E. and Boyer, J.S. 1985. Carbohydrate reserves and reproductive development at low water potentials in maize. Crop Sci. 25:762-769. Steudle, E. and Boyer, J.S. 1985. Hydraulic resistance to water flow in growing hypocotyl of soybean measured by a new pressure-perfusion technique. Planta 164:189-200. Boyer, J.S. 1985. Water transport. Ann. Rev. Plant Physiol. 36:473-516. Boyer, J.S., Cavalieri, A.R. and Schulze, E.D. 1985. Control of cell enlargement: Effects of excision, wall relaxation, and growth-induced water potentials. Planta 163:527-543. Westgate, M.E. and Boyer, J.S. 1985. Osmotic adjustment and the inhibition of leaf, root, stem and silk growth at low water potentials in maize. Planta 164:540-549. Ort, D.R. and Boyer, J.S. 1985. Plant productivity, photosynthesis and environmental stress. In Changes in Eukaryotic Gene Expression in Response to Environmental Stress, B.G. Atkinson and D.B. Walden (eds.) Academic Press, New York. pp. 279-313. Matthews, M.A. and Boyer, J.S. 1984. Acclimation of photosynthesis to low water potentials. Plant Physiol. 74:161-166. Boyer, J.S. and Younis, H.M. 1984. Molecular aspects of photosynthesis at low water potentials. In Advances in Photosynthesis Research, C. Sybesma (ed. ), Vol. IV. Martinus Nijoff/Dr. W. Junk Publishers, The Hague. pp. 359-365. McIntyre, G.I. and Boyer, J.S. 1984. The effect of humidity, root excision, and potassium supply on hypocotyl elongation in dark-grown seedlings of Helianthus annuus. Can. J. Botany 62:420-428. Sharp, R.E., Matthews, M.A. and Boyer, J.S. 1984. Kok effect and the quantum yield of photosynthesis: light partially inhibits dark respiration. Plant Physiol. 75:95-101. Matthews, M.A., Van Volkenburgh, E. and Boyer, J.S. 1984. Acclimation of leaf growth to low water potentials in sunflower. Plant, Cell and Environment 7:199-206. Boyer, J.S. and Westgate, M.E. 1984. Water transport for cell enlargement. In Membrane Transport in Plants, W.J. Cram, K. Janacek, R. Rybova, K. Sigler (eds.). Academia, Praha. pp. 96-102. Westgate, M.E. and Boyer, J.S. 1984. Transpiration- and growth-induced water potentials in maize. Plant Physiol. 74:882-889. Boyer, J.S. 1983. Crops, stress, and genetic improvement. Illinois Research 25:18-20. Aparicio-Tejo, P.M. and Boyer, J.S. 1983. Significance of accelerated leaf senescence at low water potentials for water loss and grain yield in maize. Crop Sci. 23:1198-1202. Aparicio-Tejo, P.M. and Boyer, J.S. 1983. Magnesium nutrition and grain yield of maize having low water potential. Agron. J. 75:919-923. Younis, H.M., Weber, G. and Boyer, J.S. 1983. Activity and conformational changes in chloroplast coupling factor induced by ion binding: formation of a magnesium-enzyme-phosphate complex. Biochemistry 22:2505-2512. Boyer, J.S. 1983. Subcellular mechanisms of plant response to low water potential. Agricultural Water Management 7:239-248. Boyer, J.S. 1983. Environmental stress and crop yields. In Crop Reactions to Water and Temperature Stresses in Humid, Temperate Climates, C.D. Raper, Jr. and P.J. Kramer (eds. ), Westview Press, Boulder, CO. pp. 3-7. Boyer, J.S. and Younis, H.M. 1983. Molecular aspects of photosynthesis at low leaf water potentials. In Stress Effects on Photosynthesis, R. Marcelle (ed. ), Dr. W. Junk, Publishers, The Hague, Netherlands. pp. 29-33. Boyer, J.S. 1982. Plant productivity and environment. Science 218:443-448. Radin, J.W. and Boyer, J.S. 1982. Control of leaf expansion by nitrogen nutrition in sunflower plants: role of hydraulic conductivity and turgor. Plant Physiol. 69:771-775. Michelena, V.A. and Boyer, J.S. 1982. Complete turgor maintenance at low water potentials in the elongating region of maize leaves. Plant Physiol. 69:1145-1149. Cavalieri, A.J. and Boyer, J.S. 1982. Water potentials induced by growth in soybean hypocotyls. Plant Physiol. 69:492-496. Ogawa, T., Grantz, D., Boyer, J.S. and Govindjee. 1982. Effects of cations and abscisic acid on chlorophyll a fluorescence in guard cells of Vicia faba. Plant Physiol. 69:1140-1144. Martin, B., Ort, D.R. and Boyer, J.S. 1981. Impairment of photosynthesis by chilling-temperatures in tomato. Plant Physiol. 68:329-334. Meyer, R.F. and Boyer, J.S. 1981. Osmoregulation, solute distribution, and growth in soybean seedlings having low water potentials. Planta 151:482-489. Boyer, J.S. and Younis, H.M. 1980. Measurement of photosynthesis as a way to assess phytotoxicity. J. Env. Sci. Health B15:1099-1104. Boyer, J.S., Johnson, R.R. and Saupe, S.G. 1980. Afternoon water deficits and grain yields in old and new soybean cultivars. Agron. J. 72:981-986. Blizzard, W.E. and Boyer, J.S. 1980. Comparative resistance of the soil and the plant to water transport. Plant Physiol. 66:809-814. Boyer, J.S. and Meyer, R.F. 1980. Osmoregulation in plants during drought. In Genetic Engineering of Osmoregulation. D.W. Rains, R.C. Valentine, and A.E. Hollaender (eds. ), Plenum Press, New York. pp. 199-202. Younis, H.M. Boyer, J.S. and Govindjee. 1979. Conformation and activity of chloroplast coupling factor exposed to low chemical potential of water in cells. Biochim. Biophys. Acta 548:328-340. Mignucci, J.S. and Boyer, J.S. 1979. Inhibition of photosynthesis and transpiration in soybean infected by Microsphaera diffusa. Phytopathology 69:227-230. Ehret, D.L. and Boyer, J.S. 1979. Potassium loss from stomatal guard cells at low water potentials. Journ. Exptl. Botany 30:225-234. Jurgens, S.K., Johnson, R.R. and Boyer, J.S. 1978. Dry matter production and translocation in maize subjected to drought during grain fill. Agron. J. 70:678-682. Molz, F.J. and Boyer, J.S. 1978. Growth-induced water potentials in plant cells and tissues. Plant Physiol. 62:423-429. Boyer, J.S. and Wu, G. 1978. Auxin increases the hydraulic conductivity of auxin-sensitive hypocotyl tissue. Planta 139:227-237. Fellows, R.J. and Boyer, J.S. 1978. Altered ultrastructure of cells of sunflower leaves having low water potentials. Protoplasma 93:381-395. McPherson, H.G. and Boyer, J.S. 1977. Regulation of grain yield by photosynthesis in maize subjected to a water deficiency. Agron. J. 69:714-718. Boyer, J.S. 1977. Regulation of water movement in whole plants. Soc. Expt. Biol. Symp. 31:455-470. Fellows, R.J. and Boyer, J.S. 1976. Structure and activity of chloroplasts of sunflower leaves having various water potentials. Planta 132:229-239. Shaner, D.L. and Boyer, J.S. 1976. Nitrate reductase activity in maize (Zea mays L.) leaves. II. Regulation by nitrate flux at low leaf water potentials. Plant Physiol. 58:505-509. Shaner, D.L. and Boyer, J.S. 1976. Nitrate reductase activity in maize (Zea mays L.) leaves. I. Regulation by nitrate flux. Plant Physiol. 58:449-504. Boyer, J.S. and McPherson, H.G. 1976. Physiology of water deficits in cereal grains. In Climate and Rice, International Rice Research Institute, Manila, Philippines. pp. 321-339. Mohanty, P. and Boyer, J.S. 1976. Chloroplast response to low leaf water potentials. IV. Quantum yield is reduced. Plant Physiol. 57:704-709. Boyer, J.S. 1976. Photosynthesis at low water potentials. Phil. Trans. R. Soc. London, Ser. B. 273:501-512. Boyer, J.S. 1976. Water deficits and photosynthesis. In Water Deficits and Plant Growth, Vol. 4, T.T. Kozlowski (ed. ), Academic Press, N.Y. pp. 153-190. Boyer, J.S. 1976. Stress relationships in protein synthesis: water and temperature. In Genetic Improvement of Seed Proteins. National Academy of Sciences, Washington, D.C. pp. 159-171. Boyer, J.S. and McPherson, H.G. 1975. Physiology of water deficits in cereal crops. Adv. Agron. 27:1-23. Huang, C.Y., Boyer, J.S. and Vanderhoef, L.N. 1975b. Limitation of acetylene reduction (nitrogen fixation) by photosynthesis in soybean having low water potentials. Plant Physiol. 56:228-232. Boyer, J.S. and Vanderhoef, L.N. 1975a. Acetylene reduction (nitrogen fixation) and metabolic activities of soybean having various leaf and nodule water potentials. Plant Physiol. 56:222-227. Boyer, J.S. 1974. Water transport in plants: mechanism of apparent changes in resistance during absorption. Planta 117:187-207. Keck, R.W. and Boyer, J.S. 1974. Chloroplast response to low leaf water potentials. III. Differing inhibition of electron transport and photophosphorylation. Plant Physiol. 53:474-479. Morilla, C.A., Boyer, J.S. and Hageman, R.H. 1973. Nitrate reductase activity and polyribosomal content of corn (Zea mays L.) seedlings having low leaf water potentials. Plant Physiol. 51:817-824. Potter, J.R. and Boyer, J.S. 1973. Chloroplast response to low leaf water potentials. II. Role of osmotic potential. Plant Physiol. 51:993-997. Boyer, J.S. and Potter, J.R. 1973. Chloroplast response to low leaf water potentials. I. Role of turgor. Plant Physiol. 51:989-992. Boyer, J.S. 1973. Response of metabolism to low water potentials in plants. Phytopathology 63:466-472. Boyer, J.S. 1972. Relationship of plant moisture status to irrigation need in corn and soybean crops. University of Illinois, Water Resources Center, Research Report No. 60. Meyer, R.F. and Boyer, J.S. 1972. Sensitivity of cell division and cell elongation to low water potentials in soybean hypocotyls. Planta 108:77-87. Boyer, J.S. 1972. Use of isopiestic technique in thermocouple psychrometry. III. Application to plants. In R.W. Brown and B.P. Van Haveren (eds. ), Psychrometry in Water Relations Research. Utah Agricultural Experiment Station. pp. 220-223. Boyer, J.S. 1972. Use of isopiestic technique in thermocouple psychrometry. II. Construction. In R.W. Brown and B.P. Van Haveren (eds. ), Psychrometry in Water Relations Research. Utah Agricultural Experiment Station. pp. 98-102. Boyer, J.S. 1972. Use of isopiestic technique in thermocouple psychrometry. I. Theory. In R.W. Brown and B.P. Van Haveren (eds. ), Psychrometry in Water Relations Research. Utah Agricultural Experiment Station. pp. 51-55. Safir, G.R., Boyer, J.S. and Gerdemann, J.W. 1972. Nutrient status and mycorrhizal enhancement of water transport in soybean. Plant Physiol. 49:700-703. Bazzaz, F.A. and Boyer, J.S. 1972. A compensating method for measuring carbon dioxide exchange, transpiration, and diffusive resistances of plants under controlled environment conditions. Ecology 53:343-349. Safir, G.R., Boyer, J.S. and Gerdemann, J.W. 1971. Mycorrhizal enhancement of water transport in soybean. Science 172:581-583. Ghorashy, S.R., Pendleton, J.W., Peters, D.B., Boyer, J.S. and Beuerlein, J.E. 1971. Internal water stress and apparent photosynthesis with soybeans differing in pubescence. Agron. J. 63:674-676. Boyer, J.S. and Ghorashy, S.R. 1971. Rapid field measurement of leaf water potential in soybean. Agron. J. 63:344-345. Boyer, J.S. 1971. Nonstomatal inhibition of photosynthesis in sunflower at low leaf water potentials and high light intensities. Plant Physiol. 48:532-536. Boyer, J.S. 1971. Recovery of photosynthesis in sunflower after a period of low leaf water potential. Plant Physiol. 47:816-820. Boyer, J.S. 1971. Resistances to water transport in soybean, bean and sunflower. Crop Sci. 11:403-407. Despain, D.G., Bliss, L.C. and Boyer, J.S. 1970. Carbon dioxide exchange in Saguaro seedlings. Ecology 51:912-914. Boyer, J.S. 1970. Differing sensitivity of photosynthesis to low water potentials in corn and soybean. Plant Physiol. 46:236-239. Boyer, J.S. 1970. Leaf enlargement and metabolic rates in corn, soybean, and sunflower at various leaf water potentials. Plant Physiol. 46:233-235. Boyer, J.S. and Bowen, Barbara L. 1970. Inhibition of oxygen evolution in chloroplasts isolated from leaves with low water potentials. Plant Physiol. 45:612-615. Boyer, J.S. 1969. Measurement of the water status of plants. Ann. Rev. Plant Physiol. 20:351-364. Boyer, J.S. 1969. Free-energy transfer in plants. Science 163:1219-1220. Boyer, J.S. 1968. Relationship of water potential to growth of leaves. Plant Physiol. 43:1056-1062. Boyer, J.S. 1967. Matric potentials of leaves. Plant Physiol. 42:213-217. Boyer, J.S. 1967. Leaf water potentials measured with a pressure chamber. Plant Physiol. 42:133-137. Boyer, J.S. 1966. Isopiestic technique: measurement of accurate leaf water potentials. Science 154:1459-1460. Boyer, J.S. and Knipling, E.B. 1965. Isopiestic technique for measuring leaf water potentials with a thermocouple psychrometer. Proc. Natl. Acad. Sci. 54:1044-1051. Joshi, M.C., Boyer, J.S. and Kramer, P.J. 1965. Growth, carbon dioxide exchange, transpiration, and transpiration ratio of pineapple. Bot. Gazette 126:174-179. Boyer, J.S. 1965. Effects of osmotic water stress on metabolic rates of cotton plants with open stomata. Plant Physiol. 40:299-234.